"What are public services in Texas?" Do you wonder what public services your community should be receiving, or why other areas receive more or less pubic services than your community. 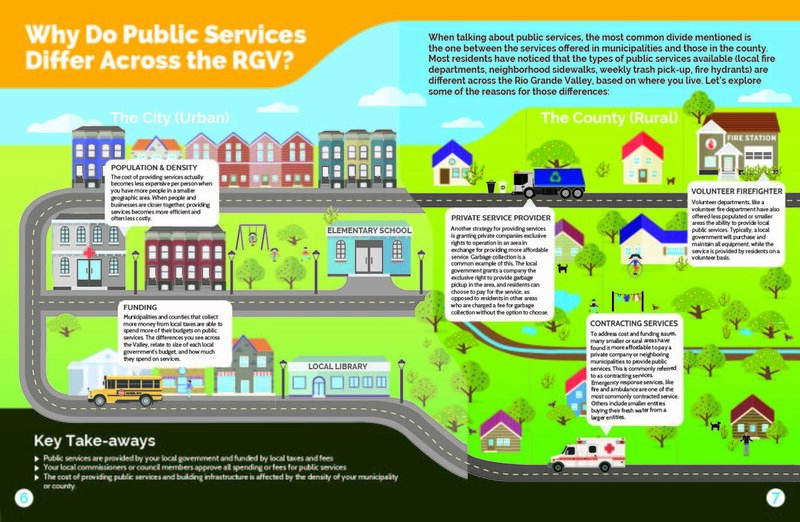 In the first level of the public services module, readers will learn about different types of public services, what is required in Texas, why cities and counties may offer different levels of public services, and the common challenges to providing public services in the RGV. 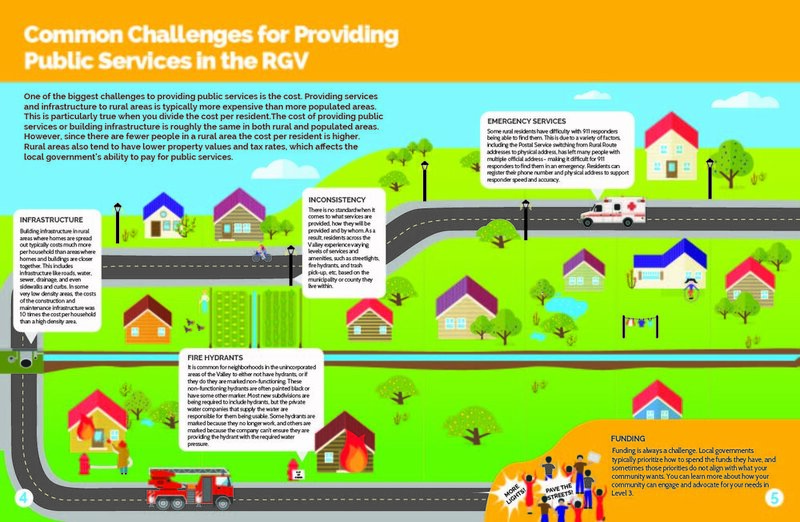 By learning how public services are delivered, readers can begin to understand the barriers to providing additional services to their community.